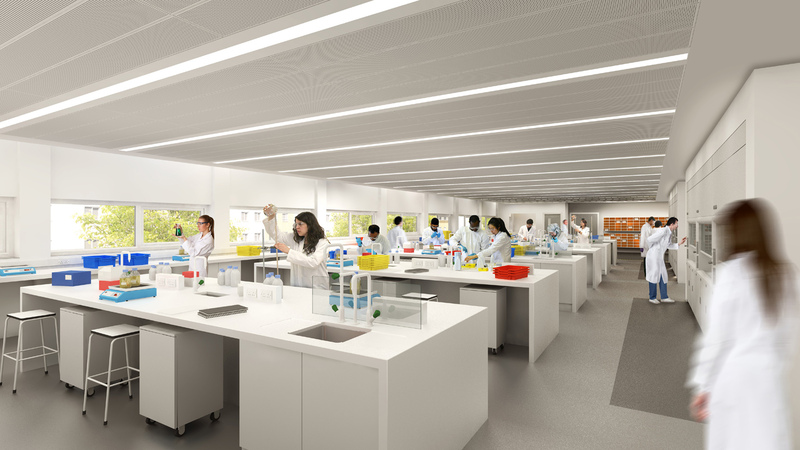 The higher education project involves the refurbishment of an existing campus building to become a state-of-the-art laboratory to support the exciting ambitions of the new Department of Chemistry. 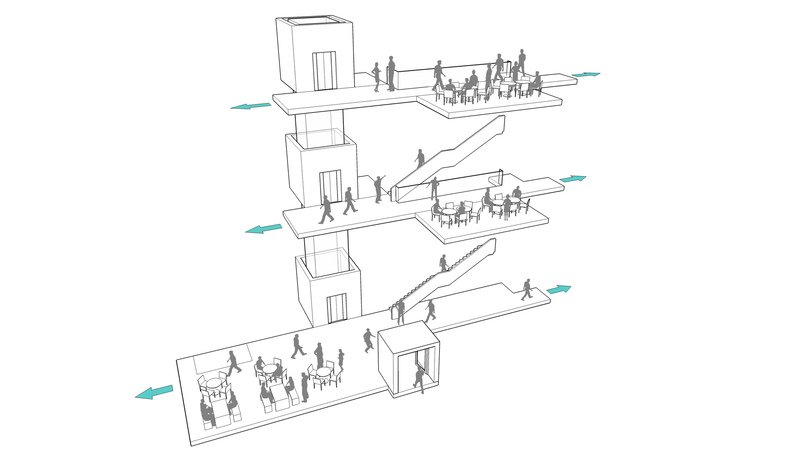 The design approach incorporates efficient and flexible teaching and research functions, which encourages the opportunity to maximise interaction and collaboration between the different user groups. 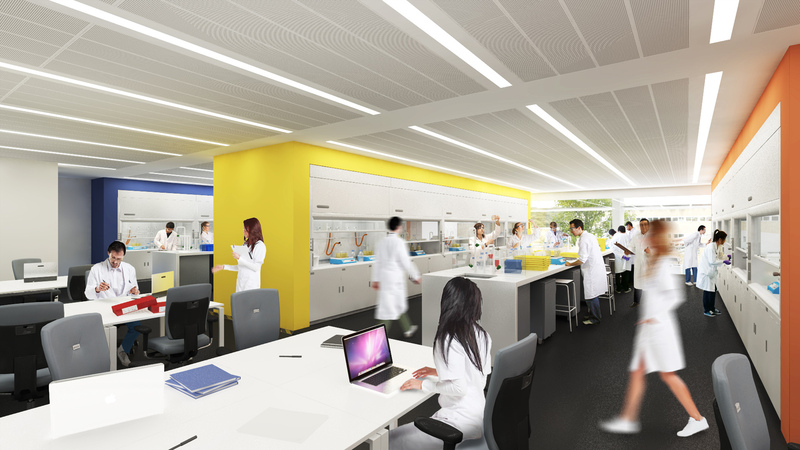 The refurbishment provides custom-designed undergraduate laboratories and office accommodation to support teaching and research in synthetic, analytical, spectroscopy, and computational chemistries. 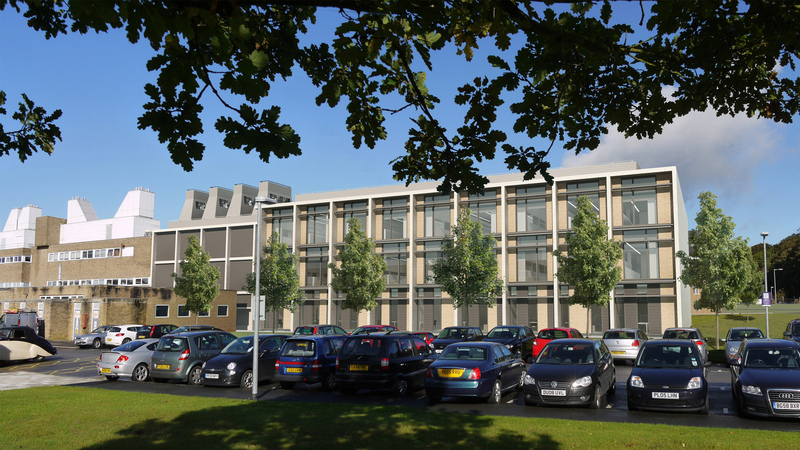 Changes to the exterior of the building have been managed to enhance the existing campus context through the use of standard materials and by keeping additions to the existing buildings at an appropriate scale. 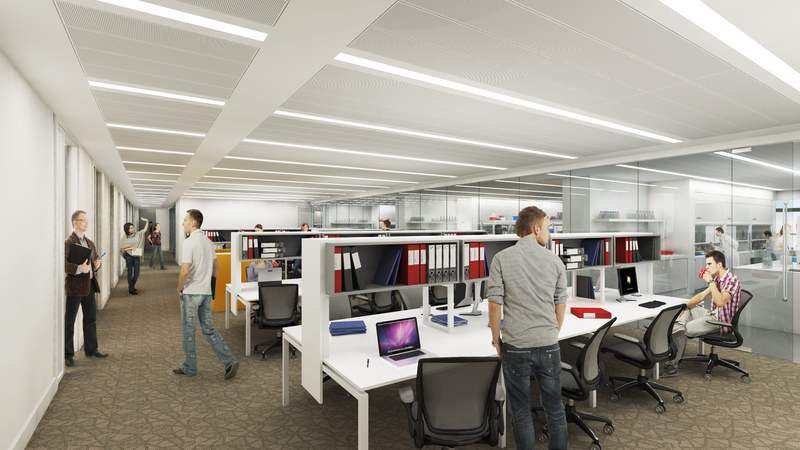 Specialist vibration sensitive instruments are housed within the refurbished ground floor level accommodation. 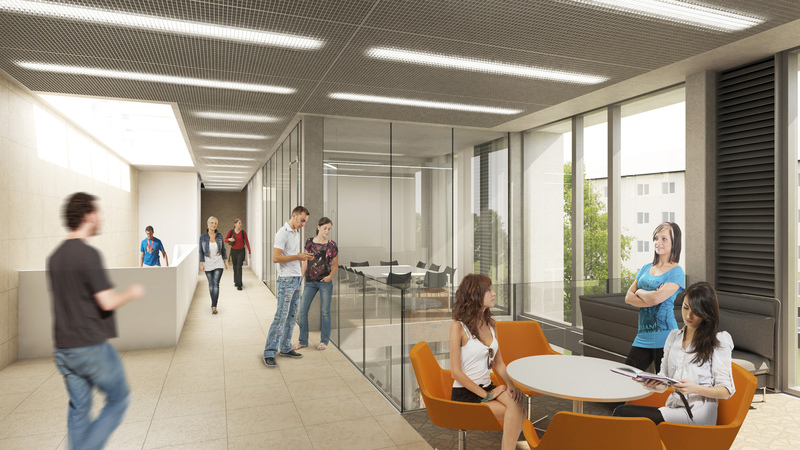 Spaces which benefit from passive environmental control – such as naturally ventilated and day lit offices – have been located to the perimeter of the building footprint to reduce the building’s ventilation and cooling loads and to maximise the benefit gained from passive environmental control.